Wanted: more Tennessee hemp farmers. State officials want to allow more farmers to grow industrial hemp in Tennessee. The Tennessee Department of Agriculture (TDA) re-opened the application process for licenses last week. Industrial hemp growers and processors can now apply through June 1st. "This is a proactive effort to assist Tennessee farmers who are looking to diversify, and we want to make sure they have every opportunity to do so," TDA Commissioner Jai Templeton said in a statement. "We are seeing more interest in particular from tobacco growers who recently learned the company that purchases their crops would no longer buy tobacco from the U.S."
Many Tennessee participants just enjoy growing the plants for making hemp smoothies at home or other personal consumption needs, according to a state hemp report. State lawmakers legalized hemp production in 2014, though it can only be grown as part of a research or pilot project. Tennessee issued 170 applications to hemp farmers this year, more than double the number of applications approved for hemp production last year. 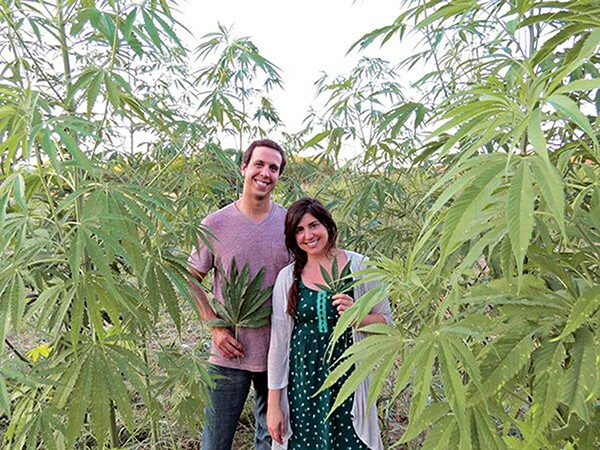 All of them have the option to grow up to 3,416 acres of industrial hemp. TDA issued 79 hemp grow licenses last year, according to an agronomic report from the agency. Some decided not to grow hemp, but 54 farmers planted 130 acres in 75 Tennessee fields last year. Most grew hemp for its oil, according to the report. 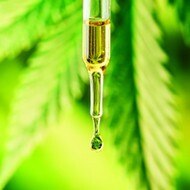 "The largest market appears to be in hemp oil high in cannabinoids," reads the report. In 2016, the Tennessee General Assembly approved the use of cannabidiol (CBD) in the state. The legislation was aimed mainly at patients using the oil for pain relief and to control seizures. But CBD is legal and available for purchase here without a prescription. Tennessee-legal CBD is derived from hemp, not marijuana. And, unlike marijuana, CBD does not contain the high-inducing cannabinoid tetrahydrocannabinol (THC). Tennessee has 38 licensed hemp processors, and most are for the extraction of CBD, according to the TDA. "While most growers are interested in selling a product, many Tennessee participants just enjoy growing the plants for making hemp smoothies at home or other personal consumption needs," reads the TDA report on hemp production. "Tennessee hemp growers are working on finding different markets for the product." Some of those markets for hemp products include fibers, livestock feed additives, and hempcrete, which is exactly what it sounds like. One thing about industrial hemp — and, especially, CBD — in Tennessee is that Tennesseans remain unclear about it all. For proof, please turn to Exhibit A: Operation Candy Crush. In February, police raided and padlocked 23 stores across Rutherford County because "illegal" gummies were being sold there. 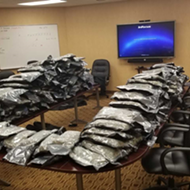 Police clandestinely purchased some of the products and then sent them off for testing to the Tennessee Bureau of Investigation (TBI) crime lab. Tests proved the products contained cannabidiol, or CBD, which was perfectly legal. Still, Operation Candy Crush mobilized police across the county with surprise raids, seizing cash, seizing products, and padlocking stores behind them. Twenty-one people were indicted and court cases were set. All charges were dropped about two weeks later.